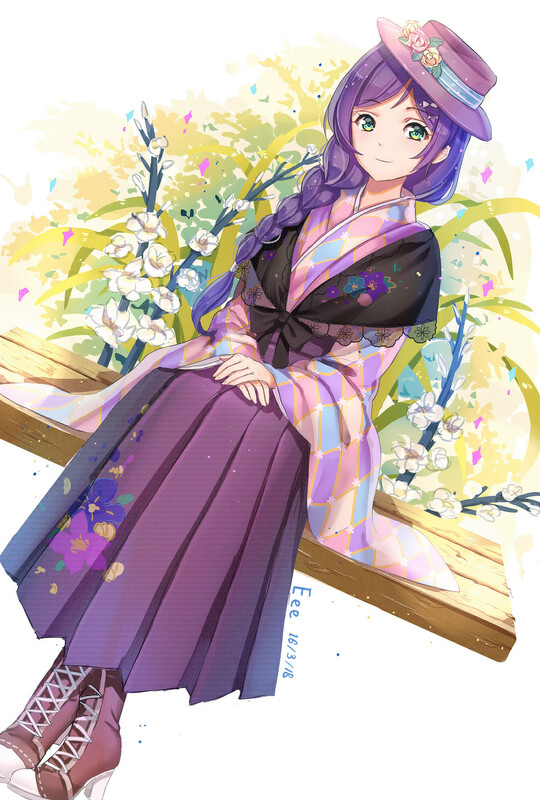 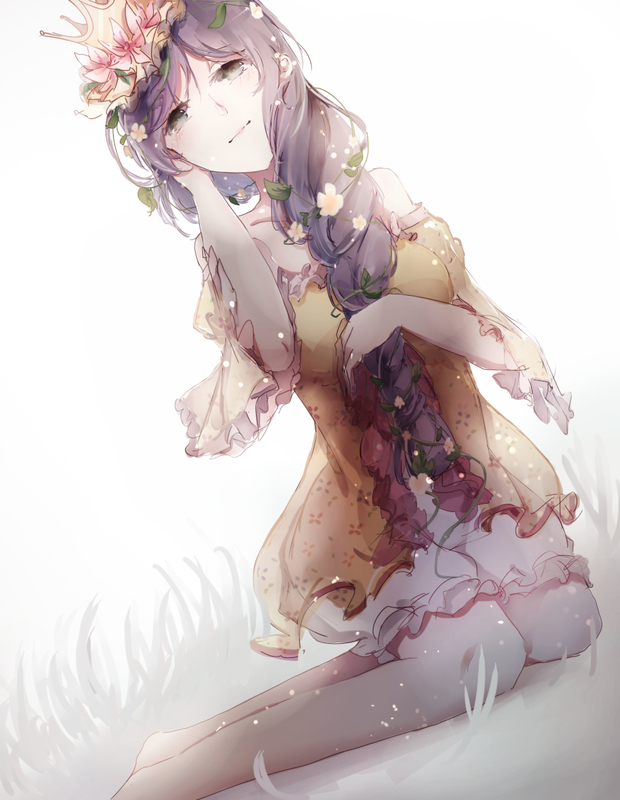 1,557 anime images in gallery. 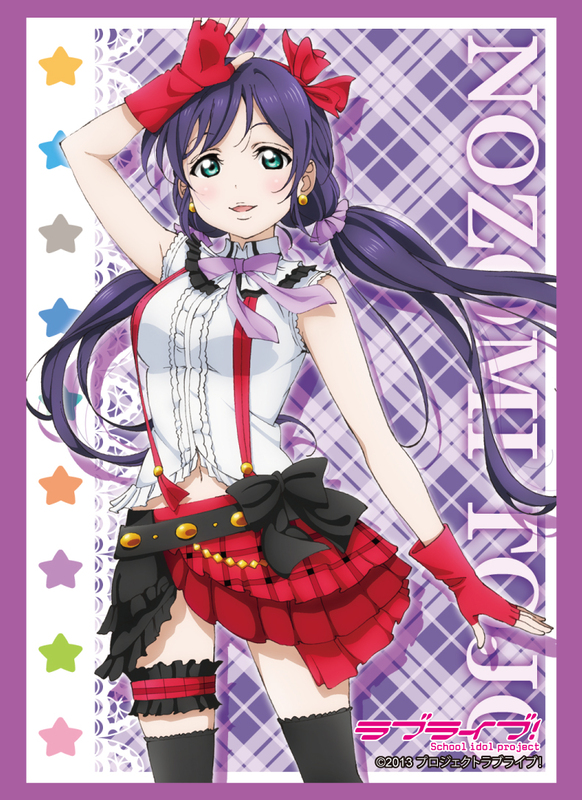 Tagged under Love Live!, μ's, Lily White (Love Live!) 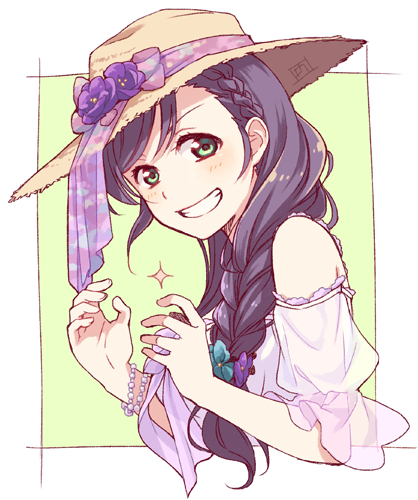 and Kusuda Aina. 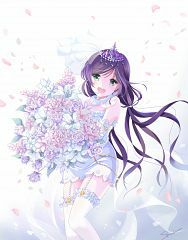 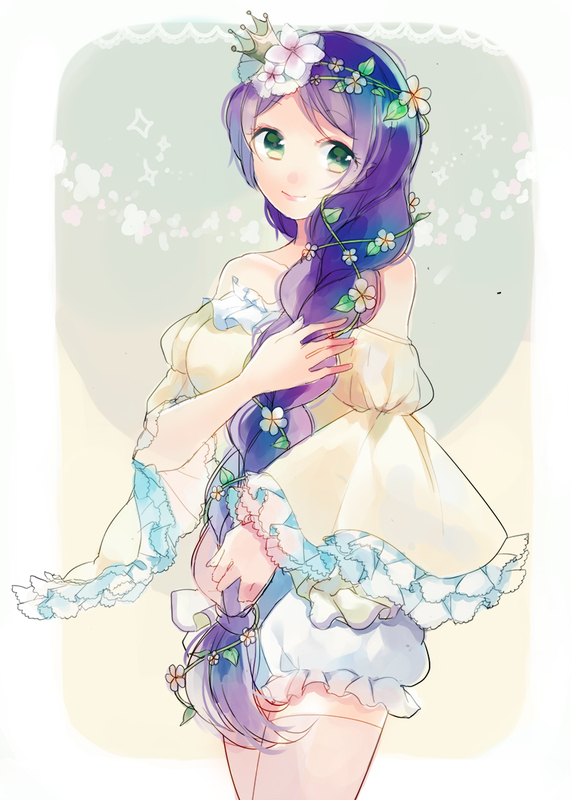 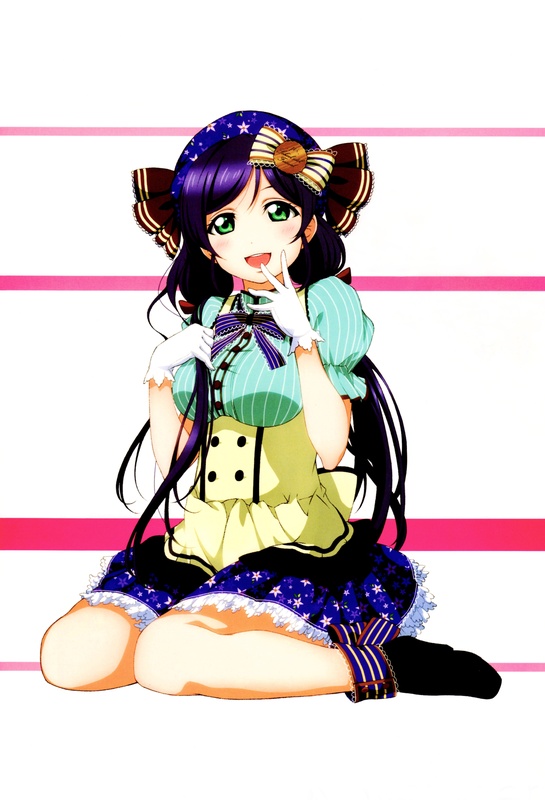 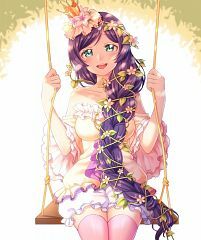 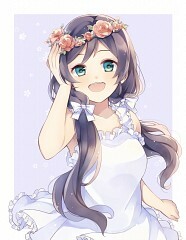 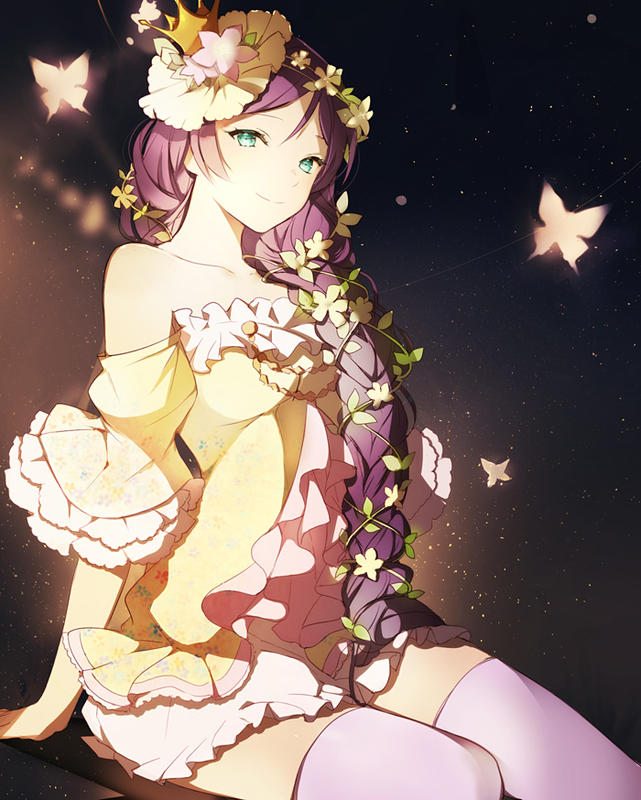 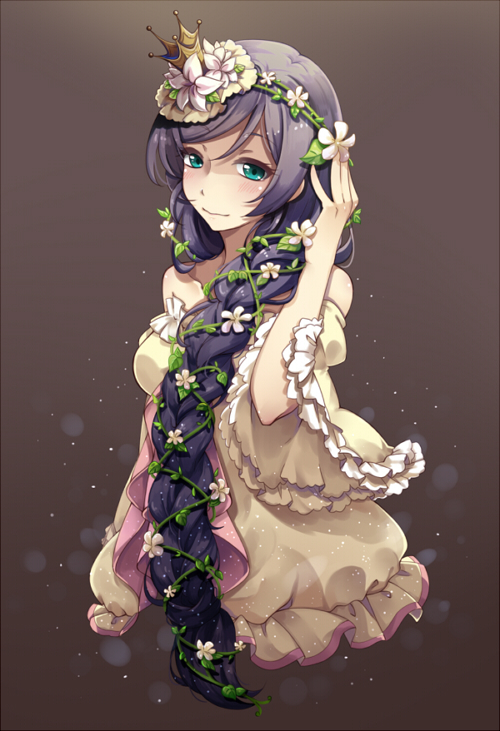 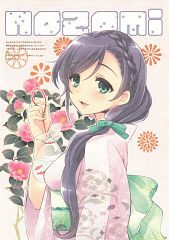 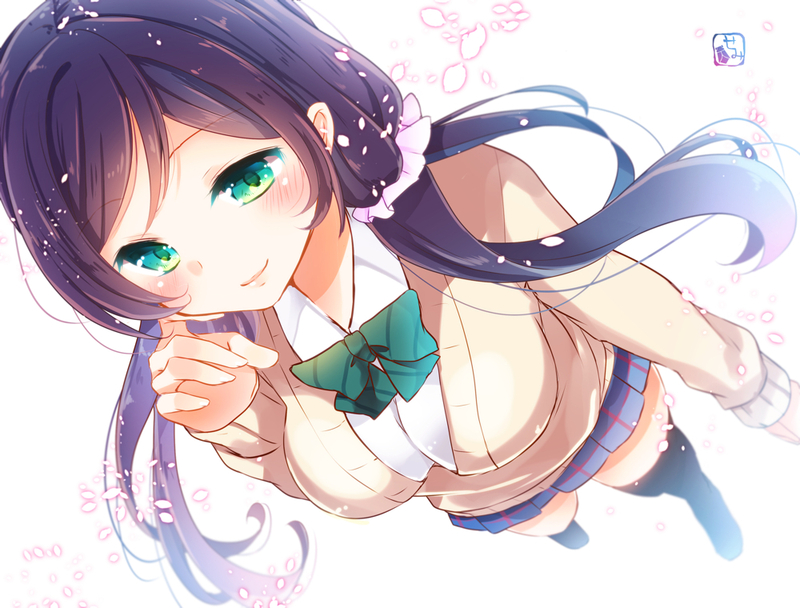 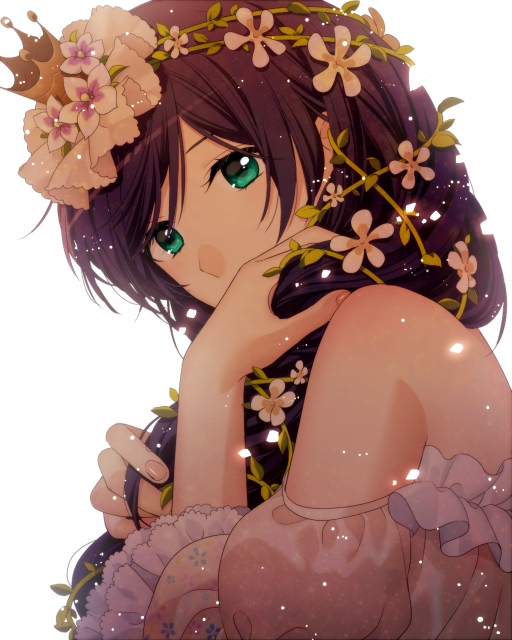 Toujou Nozomi is one of the nine main characters of Love Live: School Idol Project. She is a third year high school student of Otonokizaka Academy the same as Ayase Eri and in fact is the vice president of the school’s student council. 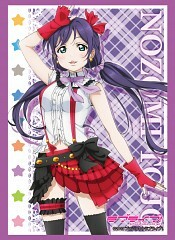 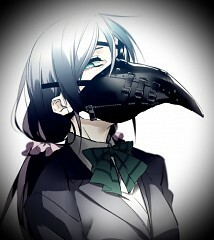 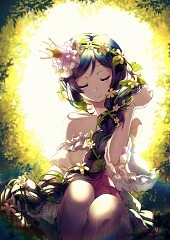 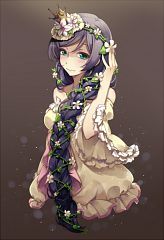 Toujou Nozomi is 17 years old and is born on the 9th of June which makes her the oldest member in the group. 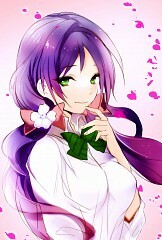 Her zodiac sign is Gemini. 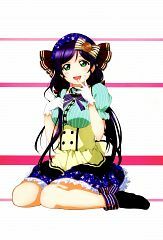 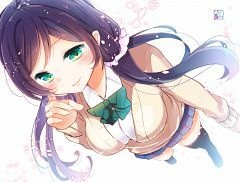 She is shown in the anime as having purple hair tied in a double low ponytail complemented with turquoise eyes. 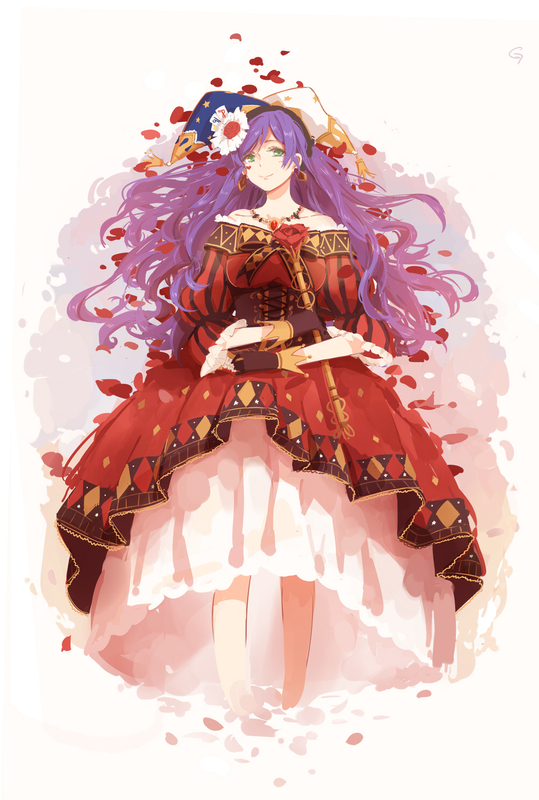 She stands 159 centimeters tall having an O blood type. A notable thing about Toujou Nozomi is that despite not growing up in the Kansai region, she expresses herself in Kansai dialect. Another signature characteristic that she has among the characters is that she gives off this all-knowing aura about her in a sense that she seems to have already foreseen the formation of their idol group as well as each member’s fate. 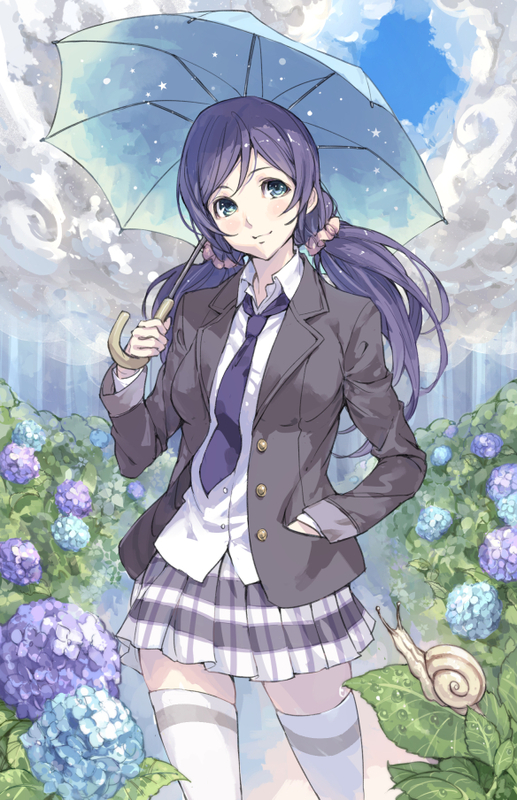 In addition to being Ayase Eri’s voice of reason and best friend, Toujou Nozomi acts as the group’s spiritual leader and does her best to cheer the members when they are down or needs some form of guidance. And even before, she has been overseeing the other girls and their progress, secretly helping them from time to time. 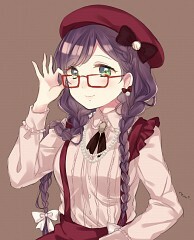 She is also usually seen in the anime reading tarot cards which are associated to her fortune-telling hobby. 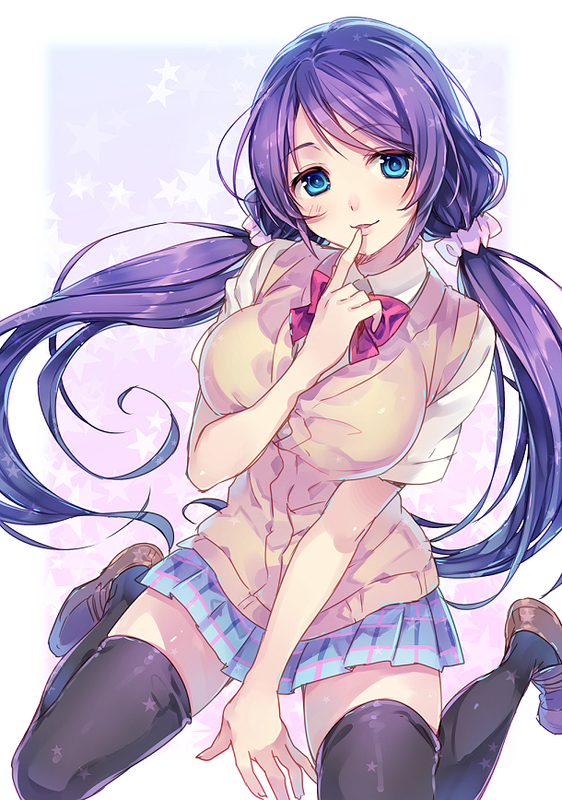 Another signature trait of Toujou Nozomi is that she gives the impression that she is perverted due to her groping the girls’ breasts on occasion as punishment for slacking off during practice. 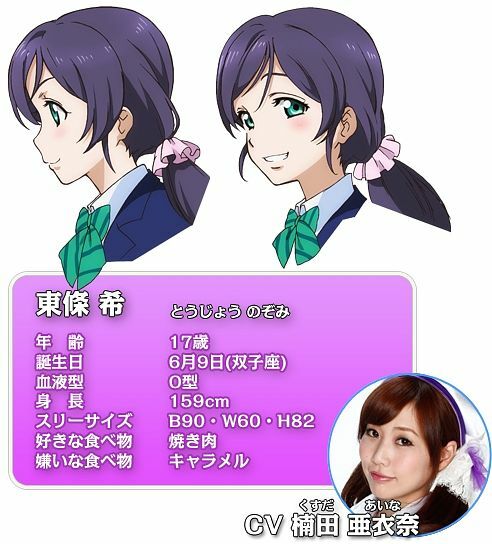 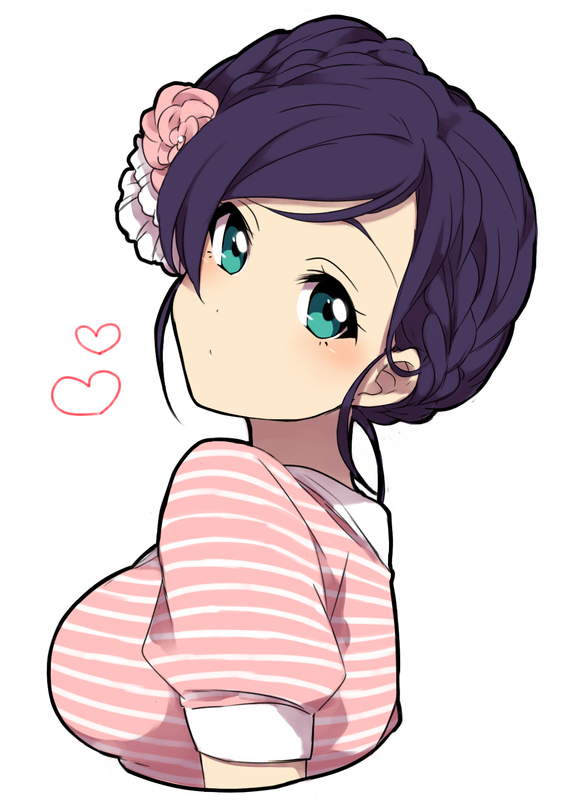 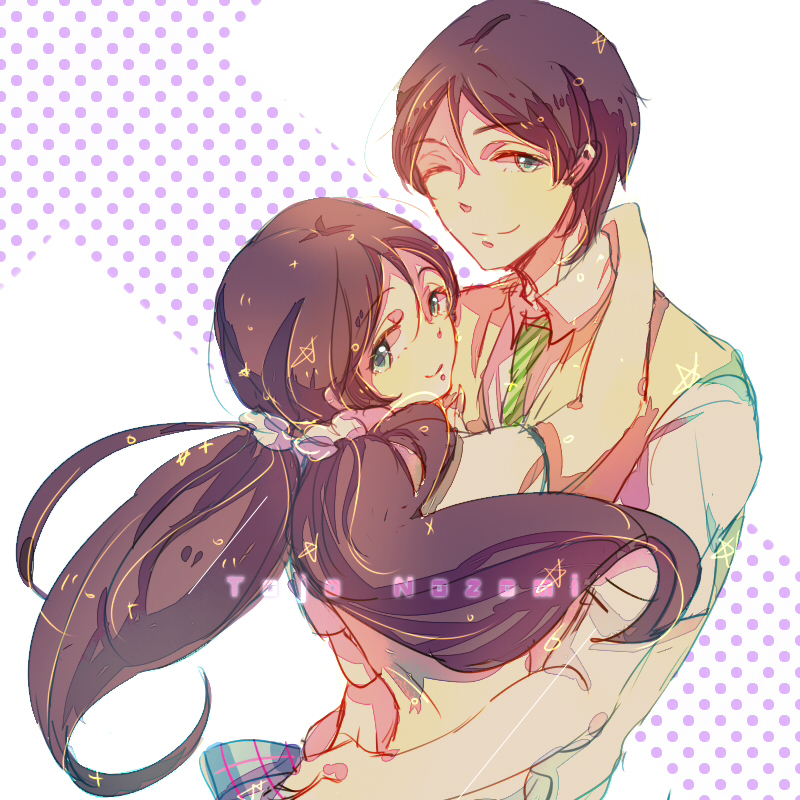 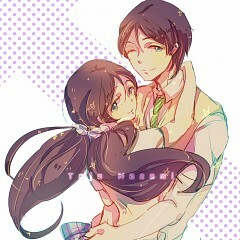 Toujou Nozomi loves eating Yakiniku and dislikes Caramel. 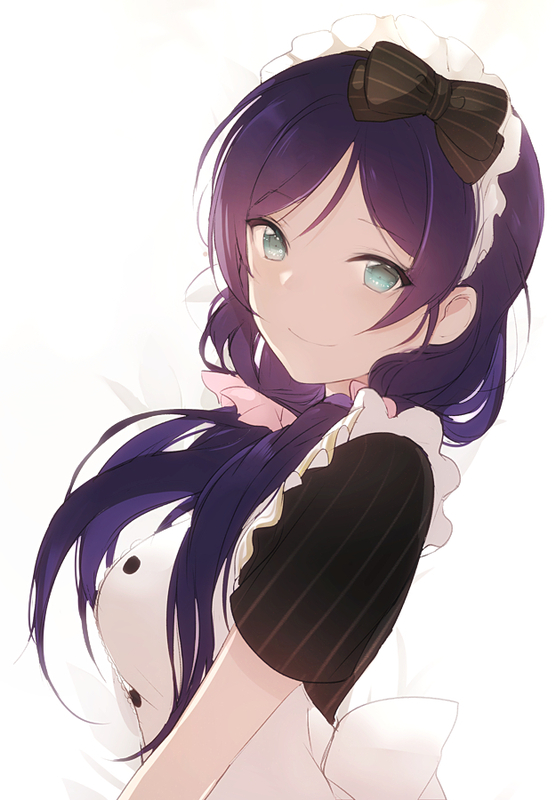 She is part of the mini idol group named Lily White along with Hoshizora Rin and Sonoda Umi. Her voice actress is Aina Kusuda.